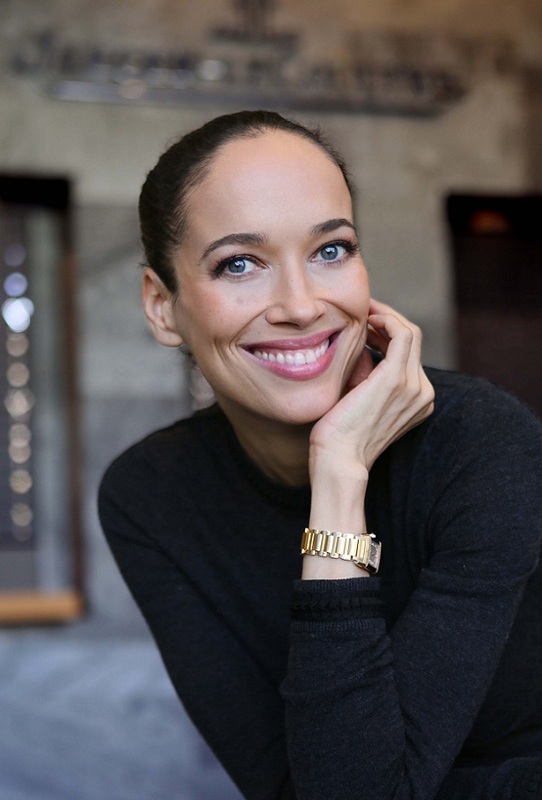 Carmen Chaplin graced the SIHH with her presence to present her short movie <A time for everything> which pays tribute to time, heritage and reveals the Jaeger-LeCoultre Memovox watch of her grand-father, Charlie Chaplin. 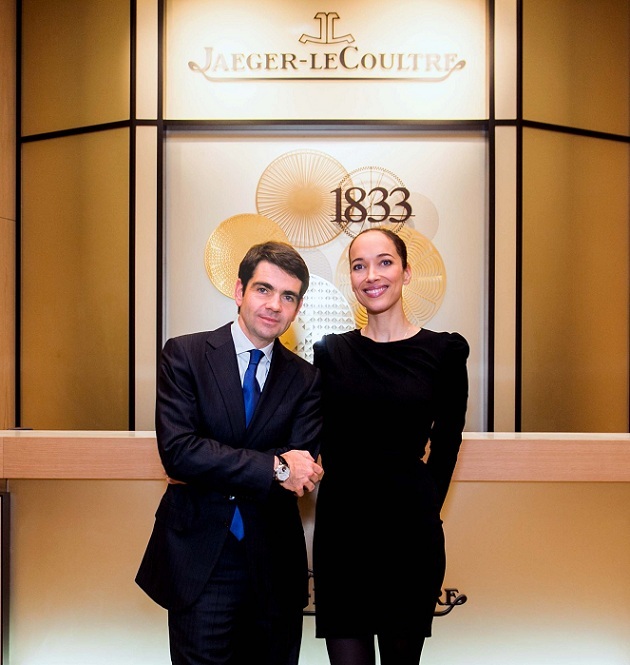 Carmen Chaplin and Jaeger-LeCoultre had a story to share. They decided to make an art project that was revealed last night on the occasion of Jaeger-LeCoultre’s 180th anniversary. When Charlie Chaplin settled in Switzerland, the government wished to give a welcome present to this great man whose talent made its mark on History. Charles Spencer Chaplin received a Jaeger-LeCoultre watch, featuring a back engraved with the words: Hommage du gouvernement vaudois à Charlie Chaplin – 6 octobre 1953 (A tribute from the government of the Canton of Vaud to Charlie Chaplin – October 6th 1953). This historical watch is exposed at the SIHH. Involved in a broad-ranging partnership with various major cinematographic events (Venice Film Festival, Shanghai International Film Festival, Abu Dhabi Film Festival), the Manufacturer decided to celebrate the memory of Charlie Chaplin and his watch by asking Carmen Chaplin to direct a short film on the theme of time. “I am intrigued by the fact that they have been ticking steadily for more than a century. My grandfather’s watch particularly moves me, because he gave it to my father, Michael Chaplin, his son, when he turned 14. Then my dad gave it to my mum as proof of their love on their wedding day. It was a real good-luck charm because they have been in love now for 45 years”. This was doubtless the reason that Carmen decided to act in this art film alongside her mother and her daughter, Uma. Three generations of women from the same family to illustrate the idea of transmission, the passing of time and inheritance. Carmen Chaplin’s A Time For Everything was premiere last night at the Salon International de la Haute Horlogerie .